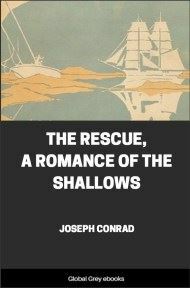 The Rescue, A Romance of the Shallows is one of Joseph Conrad's works contained in The Lingard Trilogy, a group of novels based on Conrad's experience as mate on the steamer Vidar. 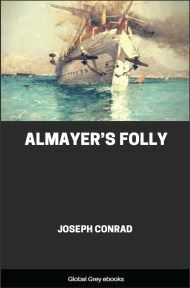 Although it was the last of the three novels to be published, after Almayer's Folly (1895) and An Outcast of the Islands (1896), the events related in the novel precede those. 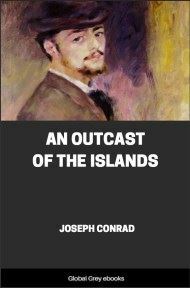 The story follows Captain Tom Lingard, the recurring protagonist of The Lingard Trilogy, who was on his way to help a native friend regain his land when he falls in love with a married woman whose yacht he saves from foundering. 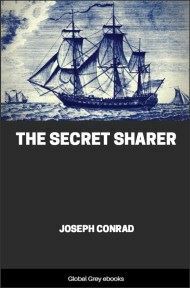 The only other human being then visible on the brig’s deck was the person in charge: a white man of low stature, thick-set, with shaven cheeks, a grizzled moustache, and a face tinted a scarlet hue by the burning suns and by the sharp salt breezes of the seas. 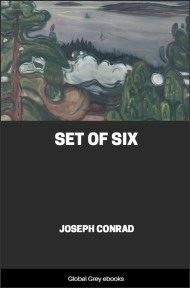 He had thrown off his light jacket, and clad only in white trousers and a thin cotton singlet, with his stout arms crossed on his breast — upon which they showed like two thick lumps of raw flesh — he prowled about from side to side of the half-poop. On his bare feet he wore a pair of straw sandals, and his head was protected by an enormous pith hat — once white but now very dirty — which gave to the whole man the aspect of a phenomenal and animated mushroom. 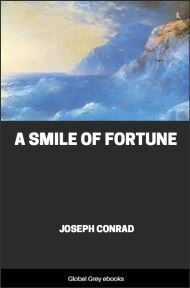 At times he would interrupt his uneasy shuffle athwart the break of the poop, and stand motionless with a vague gaze fixed on the image of the brig in the calm water. 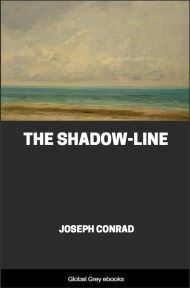 He could also see down there his own head and shoulders leaning out over the rail and he would stand long, as if interested by his own features, and mutter vague curses on the calm which lay upon the ship like an immovable burden, immense and burning.